Chandavkl says Dragon Beaux in SF is the leader for innovative dim sum in the US. Link for my Chenpi Pu erh tea? Or link for Bubble tea? I bought them from a pretty famous store 新宝堂 which specializes Xinhui Chenpi (新會陳皮). The Chenpi there is extremely famous, so I definitely prefer to get my Chenpi Pu Erh tea with the Chenpi from Xinhui. I just opened one ball up. It is better than the previous one I was drinking, so definitely worth the trouble for me. By the way, I actually got 23 balls (of 3 different kinds). of the Pu Er tea leaves. Efficacy: The tea has a detoxifying effect and aids digestion. It soothes the liver and moistens the lungs. I believe one get better tea at home. This is not just because of the higher price points in a restaurant, but also because I don’t think most restaurants correctly brew the tea. To get the best flavor from tea, you should brew in small containers like a Yixing teapot or a Gaiwan (紫砂壺 or 蓋碗). Brew it quick and in small volume. I mean. In my opinion, if we go out to get the fine tea, why get sloppy about the preparation. It is almost like getting a good quality USDA Prime steak and throw into a microwave. A inferior steak prepared skillfully is still far better than a superior steak cooked improperly. Ingredients matter, but techniques are very important too. $388 (HK dollar I assume) is a little high. Even if you get some of the best one, you should able to spend less than $100 HK dollars. Thank you. We were not aware of Yan Toh Heen’s tea specialty. That said, when it comes to tea and dim sum, some we know favor Lapsang Souchong when they are not ordering a midday Chinese beer or snoot of Scotch for “yum cha”. Brew it quick and in small volume. True! The Hong Kong teashop showed me that! I tried to reproduce the same way like the girl made it at the shop. Never as good. I believe you need the right water (here, the water contains too much calcium). And I don’t have Yixing teapot. 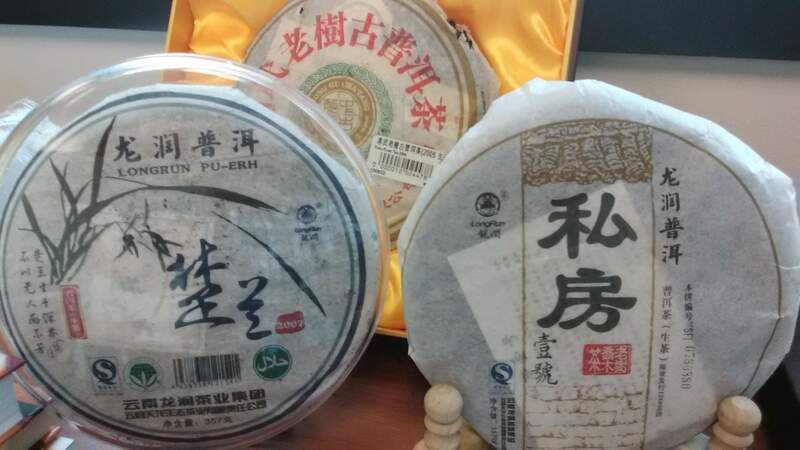 I never tried chenpi pu erh tea, just pu erh. But 23 balls?! That last a lifetime! When good quality tea leaves are infused with excellent water, the resulting tea drink will be excellent. When excellent quality tea leaves are infused with good water, the resulting tea drink can only be good. I don’t think you need Yixing teapot. What type of water do you use to brew your chenpi pu erh? Water is very important, but sometime people can also overthink as well. I know some people will argue that one should use the same water from the same region where the tea leaves are grown. I think that is just unnecessary. In my opinion, any water that tastes good to you is sufficient to brew tea. If a water has a funny taste to it, then brew the tea in it will still have a funny taste. I currently use filtered water. It tastes fine to me. In general, ancient Chinese rank water quality in the order of: mountain spring water, river water, well water. By the way, in a month or two, the first pick of Long Jing (Ming Qian Shi Feng) is coming up. You better not miss it. When we were in Paris in November we drank some Volvic mineral water. I thought it was terrible for drinking. Had no taste. Then we had to get a new espresso machine, and the guy who sold it to us told us to use Volvic mineral water in the machine! Maybe it’s good for tea, too? The guy who sold me orchids told me Volvic was great for watering the plants too. I did some research, it has a PH around 7, rather neutral and low minerals. Yes, I think you are right about it being a good tea water. There can be other better water, but Volvic is still something affordable and it is easy to find. I am lazy and forgetful, I only use carbon filtered tap water. I don’t know, maybe I will get a small batch, I am far from finishing last year’s stock. I divided them into smaller portion and keep them sous vide, I hope they will be still okay this year. When we bought the new espresso machine (because the electronics in the older one died), I asked the guy, what he thought of the filter cartridges that “clean” the water before it goes into the machine. He said, Don’t use those! Use Volvic. Our tap water is extremely calciferous, so we need something to remove minerals so that the espresso machine does not get stopped up with calcium. So far it has worked great. Our tap water is extremely calciferous, so we need something to remove minerals so that the espresso machine does not get stopped up with calcium. Here too. In southern France, water are less calciferous. In Asia, there is not much calcium in water. I know because I feel the calcium after hair washing, here is hard, in Asia, hair is much softer! You are keeping your tea in a sour vide – like cooking them? As for the first pick, I will get some. I just have to plan how much for the first pick Sencha (一番茶煎茶) and first pick Long Jing. I don’t have money to buy eveything. Ironically, I think I like Sencha (煎茶) slightly more than Gyokuro (玉露). The first-pick supply is once a year. I am keeping most of focus on my Pu erh tea. 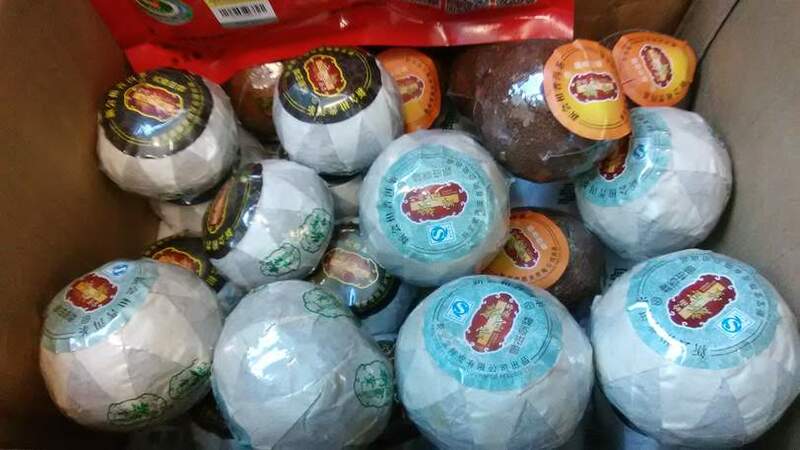 I have three Pu erh tea cakes at work, and four more at home. Why not?! Maybe low temperature long time brewing works too! 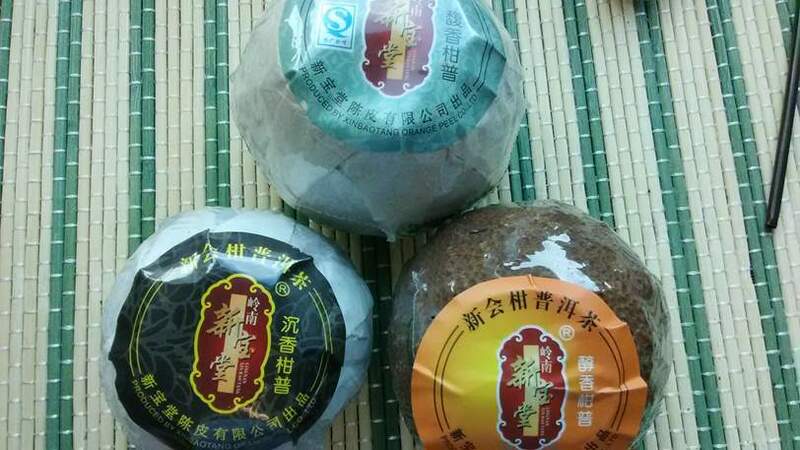 Haha, excellent Pu erh can be a good investment, you can sell them later to buy a house! Well, at least they don’t go bad over time like Long Jing or Gyokuro. I like Wuyi golden key, sometimes some good Iron Budda. I have got some Sencha at home, they aren’t premium quality, just average stuff, didn’t get hooked with that yet. Even if they lost the taste, they are still very good to cure certain infection.